BuildingsOne is an industry leading, web-based advisory site providing career professionals with direct access to pertinent information and expertise in all aspects of managing and operating commercial real estate. The web-site includes a comprehensive library of interactive Documents and Templates encompassing a series of core property administrative, financial and operating practices. The documents and templates provide practical information, requirements and procedures within a framework of commercial real estate concepts and applications. The templates, systematically configured in Word and Excel format, can be easily modified to suit the real estate manager’s specific needs. BuildingsOne web-site links and RSS feeds provide a “portal” to, and real-time information from, commercial real estate related industries and organizations. The web-site also features a Quarterly Newsletter, Feature Property segment, Advisory Articles and Technical Bulletins, with input from BuildingsOne and industry professionals, all with an emphasis towards providing relevant and accessible information to the commercial real estate manager-operator. 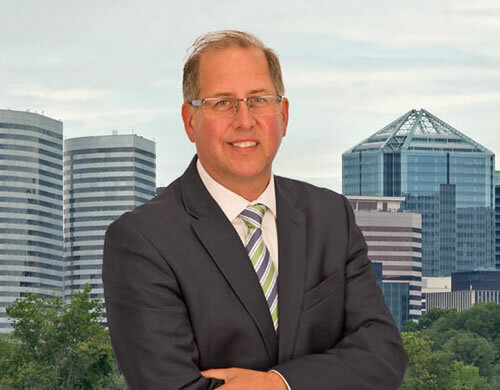 For 25 years, Tom Griffin has been involved in the management and operation of commercial real estate for prominent investment firms and corporations. Whether in an owner-operator or service provider capacity, Tom has embraced the basic notion that “a real estate manager’s enhanced knowledge in property core disciplines – administration, finance and operations – can positively influence customer service and owner value”. With this concept, serving as a fundamental tenet to the professional’s aspirations, a rewarding career and contribution to the real estate profession is attainable. In positions ranging from Property Manager to Vice President, Tom has worked with property owners, operators and service companies, mentoring and applying this concept in numerous metropolitan markets including Boston, London, Los Angeles, Miami, New York City and Washington D.C. His depth of experience in all property types, including investment office, industrial and retail, as well as government and corporate facilities in expansive geographical regions, provided unique opportunities to apply select practices, from one property class or ownership form to another, in order to increase administrative and operational efficiencies. With the development and implementation of “practical and proficient” commercial real estate programs, procedures and documents, through the entire property investment cycle: due diligence > acquisition > transition > leasing | operations > sale, many real estate owners have realized significant improvement in services and property value appreciation. Tom’s passion for professional writing received national recognition when the Institute of Real Estate Management (IREM) inducted him into the IREM Academy of Authors, for his 1999 publication, “The Real Estate Manager’s Technical Glossary”. Tom is a United States Navy veteran, retiring at the rank of Commander. As principal of BuildingsOne, he operates the company as a veteran-owned business in the Washington, DC area.